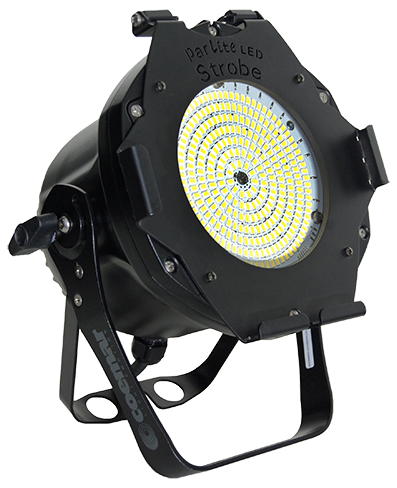 The perfect lightweight strobe ParLite Led with an aluminum body for a long lasting light source and with 7 LED rings individually controlled in which you can use strobe and wash mode. It can achieve a 120° beam angle. Perfect for broadcast segment thanks to the low noise fan. Cool design for hi-end installation thanks to its lightweight of 4.5 Kg.